TORONTO -- Victoria-based author Esi Edugyan says her second time winning the $100,000 Scotiabank Giller Prize felt all the more meaningful amid a climate in which truth is "under siege." 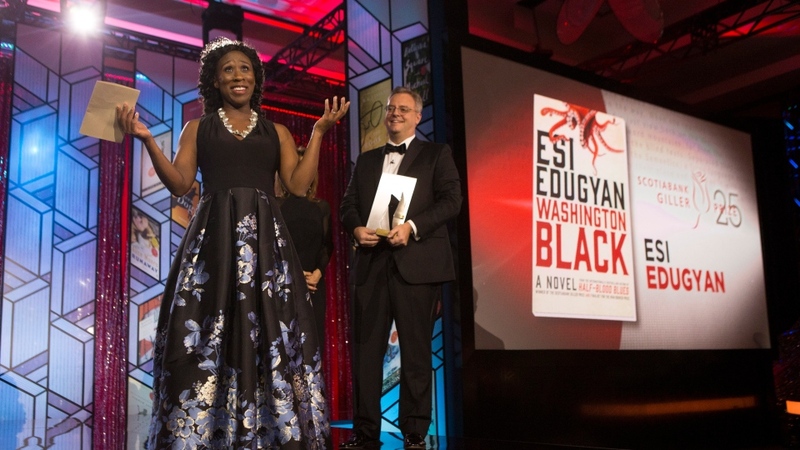 Despite her experience earning literary accolades, Edugyan seemed at a loss for words as she took to the stage Monday night at the Toronto Ritz-Carlton to accept the honour for her latest novel, "Washington Black." "I wasn't expecting to win, so I didn't prepare a speech," she told the crowd with a sigh. The televised gala caps off a book awards season flush with acclaim for "Washington Black," which was shortlisted for the Man Booker Prize and the Writers' Trust fiction award. The novel, published by Patrick Crean Editions, follows the saga of an 11-year-old boy who escapes slavery at a Barbados sugar plantation with the help of the owner's kinder brother. A five-member jury praised "Washington Black" as "a supremely engrossing novel about friendship and love and the way identity is sometimes a far more vital act of imagination than the age in which one lives." After rattling off a list of people she wanted to thank -- including her children, who she hoped were allowed to watch the evening broadcast -- Edugyan took a moment to recognize the role of stories outside the glitzy hotel ballroom. 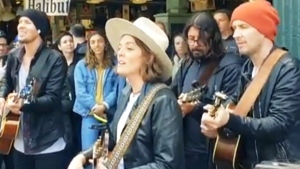 "In a climate in which so many forms of truth telling are under siege, this feels like a really wonderful and important celebration of words," she said. In an interview after the ceremony, Edugyan said she realized she had forgotten to mention a few names on her thank-you list in her brief remarks -- her fellow Giller contenders, Patrick deWitt, Thea Lim, Sheila Heti and Eric Dupont. While she and deWitt have been pegged as literary rivals since the pair faced off on the book awards circuit in 2011, during which Edugyan earned her first Giller for "Half-Blood Blues," she said this year's finalists had bonded over the course of a multi-city reading tour in recent weeks. Still, she said this Giller win felt different from the last, saying she felt like she was taking a risk in delving into new subject matter with "Washington Black." "I sort of feel maybe that it's opened me to writing about anything ... to be able to go out there and just choose any topic," she said. Edugyan said she planned to spend some of her $100,000 prize on practical concerns such as household debt, taking care of her father, as well as supporting her literary ventures -- but stayed mum about what story she'll tackle next. However, in these "fraught times," Edugyan stressed that it's vital that stories about marginalized people are told, saying reading can be a way to connect with experiences outside our own. "It's extremely important to get those out there, and for us to be reading them, and trying to imagine ourselves into other skins, and not closing ourselves down," she said. 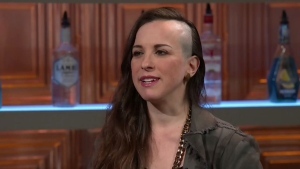 "It's part of, I think, keeping the dialogue alive, and keeping empathy alive." Edugyan said she hopes her success empowers readers who may feel underrepresented in literature. "To see a black woman win the prize ... that's huge," she said. "For me, when I was growing up in Calgary in the (1980s), there weren't a ton of Canadian models in terms of people who had my background." 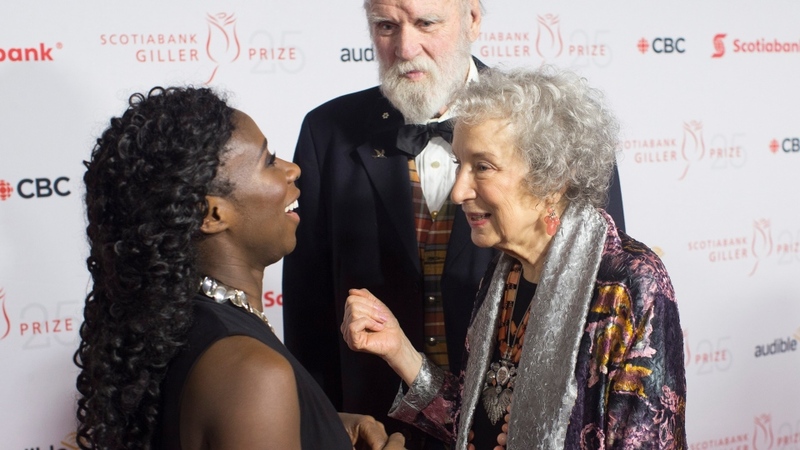 As Edugyan graced the Giller red carpet on Monday, she was greeted by acclaimed Canadian author Margaret Atwood, who attended the gala alongside other notables such as actor Gordon Pinsent, former Ontario premier Bob Rae, writer John Irving and "Kim's Convenience" star Paul Sun-Hyung Lee. The evening's proceedings were overseen by host Rick Mercer, who elicited a mix of guffaws and groans from the crowd with his comedic jabs at politicians, while The Tragically Hip's Johnny Fay drummed presenters on and off the stage. Jury members Heather O'Neill, John Freeman, Kamal Al-Solaylee, Maxine Bailey and Philip Hensher culled this year's Giller short list from 104 titles submitted by publishers across the country. Last year's winner was Michael Redhill for "Bellevue Square."